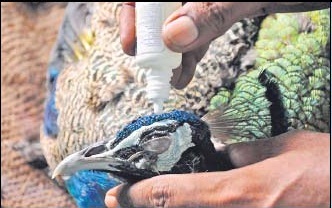 Beauty of Thar – Unsettled weather killing Peacocks in Sindh! The Beauty of Sindh – No more? Most people are unaware about the situation that has engulfed the eastern area of the Sindh province of Pakistan. Many people do not care about the troubles of the rural areas of the country, these people are more interested in the foreign unrest. But few people are deeply worried about the situation of the Tharparkar district of Sindh where about 180 peacocks have died due to a deadly viral flu that has now started affecting the local cattle. The people who own the cattle were also worst-hit during the 2011 rainfall, that year too thousands of cattle died due to the record-breaking rainfall. It seems as if these people are again losing their precious commodities but in another form. The deadly disease is known as Newcastle disease (Ranikhet) and it is responsible for the deaths of 170 peacocks. The Pakistani government has down played the news, saying only 11 have died but private veterinarians who visited the affected area have said that the situation is dangerous as many wild creatures (other than peacocks) might have already have the symptoms of the disease. They have urged the government to start a vaccine operation in Tharparkar district and other adjoining cities of Sindh urgently or else the Newcastle disease would keep spreading. Newcastle Disease Virus (NDV) is not new to Pakistan but this year’s outbreak is biggest since last many years. 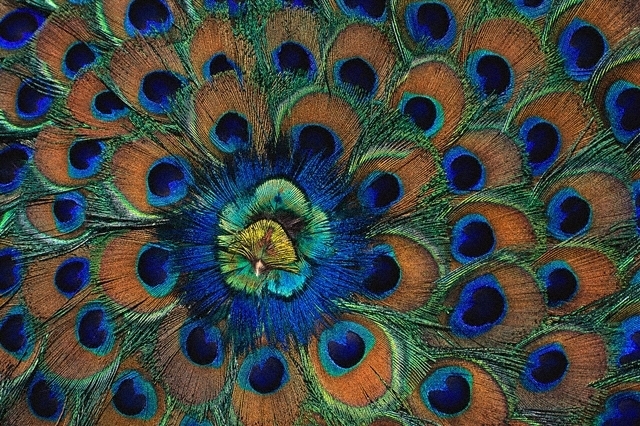 In 2003, peacocks died from the same disease but at that time authorities took an early action. In February 2011, a milder version of NDV that caused the birds of Thar region to have swollen eyes and loss of appetite, this year the symptoms are much different that is the birds keep whirling. What is Newcastle disease virus (NDV)? 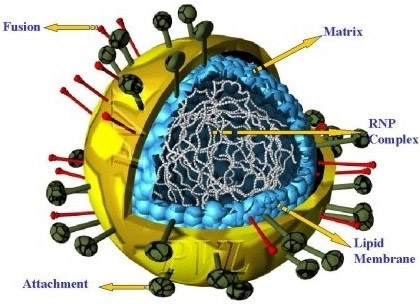 The virus is named after the city of United Kingdom as it was first reported in 1926. Newcastle Disease Virus (NDV) mostly affects birds that include poultry as well as wild species. Being a bird disease, it spreads rapidly to due migration of wild birds from one place to another due to which outbreaks can occur frequently. Sadly there is no treatment for this disease but effective vaccine may help to reduce the chance of major outbreaks. High death rate is highly likely during major outbreaks, the one being experienced in Pakistan. Is it harmful to human beings? Other than causing seasonal flu-like symptoms or mild eye infection, the Newcastle disease is harmless to human beings. Mystery of Peacock deaths: India hit first! I have been following the track of this disease and before spreading into Pakistan on July 15, Indian media outlet ‘The Hindustan times’ reported on July 13, that atleast 24 peacocks have died in the Indian state of Haryana (near eastern Pakistan) from July 11 and after four days peacocks started to die in Pakistan as well. It is worth mentioning that peacocks die almost every month in India. Pakistani news channel GEO reported on July 21 that 40 birds have died since July 15 due to the spread of an unknown disease in the area. Although the deaths of Pakistani peacocks have risen to 170 since that day, on August 2 Times of India reported that peacocks have suddenly started to die in the Indian states of Maharashtra, Rajasthan and Andhra Pradesh. They too fear that the death toll might have reached beyond 100. The torrential record-breaking rainfall of 2011 and drought conditions of 2012 are being blamed for the possible reason for the sudden deaths of peacocks. The rains of 2011 has caused in the reduction of maize and millet, source of food for the peacocks. While the problem took another turn in 2012 when less than normal rainfall occurred in the region that has caused prolonged heatwave, deforestation and water shortage in the area. Few peacocks have even died of heatstroke. The disease may subside for few months if moderate version of precipitation occurs in the region, there are chances of some activity happening during the second week of August, if that does not happen than NDV is very likely to engulf other parts of Sindh including Karachi. Karachi is next: Vaccinate your birds now! Poultry Research Institute has warned Karachiites that they should vaccinate their pet birds to control the disease from spreading as it is feared that if drought emerges during the monsoon season than this disease would keep spreading and could make a stronger comeback by June 2013. On August 1, Badin, Mirpurkhas, Sanghar, Tando Allahyar, Shaheed Benazirabad and Hyderabad have also reported the deaths of peacocks. Will the disease engulf Karachi now? El-Nino comeback: Monsoon collapses, Pakistan going into drought! ← Pakistan Weather Portal (PWP) – July 2012 in Review!